Air Niugini has changed its current flight schedule to improve reliability and ensure convenience for the travelling public. Effective Sunday 11th March, the multi sector flights on the domestic network will be temporarily suspended and replaced with the introduction of additional direct services. Chief Executive Officer, Mr Simon Foo said with the traditionally low season and crew limitations, the airline believes the change would help improve schedule reliability. The multi sector flights between Port Moresby/Lae/Hoskins/Rabaul, POM/Madang/Wewak, POM/Lae/Manus/Lae/POM, POM/Madang/Manus/Madang/POM and POM/Kavieng/Manus/Kavieng will be temporarily suspended. 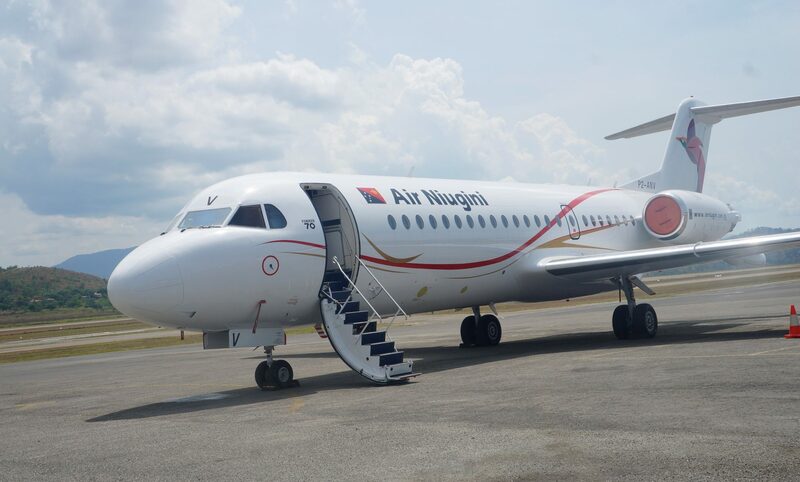 However, Air Niugini has introduced additional direct services to cater for the change in the multi sector flights. There will be additional direct services between Port Moresby and Lae to bring to a total four daily flights. The frequencies of flights to Vanimo via Wewak will be increased to four whilst Vanimo via Madang will be temporarily suspended. Hoskins direct services will be increased to two except for Monday and Friday while schedule for remaining ports is largely unchanged. On the international sector, the Cairns morning flights on Tuesday, Thursday and Friday will be upgraded to Boeing 737 aircraft instead of Fokker 70/100 while the overnight services on Monday and Thursday are suspended except for Easter, Thursday March 29th and Monday April 02nd.